Your Health Depends Upon it! Vitamin D facts are not well known - even though this fat soluble vitamin is essential to our good health. As more and more Vitamin D facts are being discovered in Vitamin D research, Vitamin D therapy is being found to be IMPERATIVE to our good health in many different ways. Vitamin D Therapy is essential for everything from bone health, to colds and flu, to heart disease, antiaging and even many types of cancer. MOUNDS of research supports its importance- yet it is still being overlooked by doctors everywhere. It is becoming more and more apparent to researchers that the vast majority of people are Vitamin D deficient - up to 70% or even 85% in some regions - and that Symptoms of Vitamin D Deficiency are contributing to many of the chronic illnesses in western countries. Is it Just the Latest Fad Diagnosis? In the US, the RDA is between 200 – 600 IU per day, while in Europe it is 400-800 IU per day. As more and more Vitamin D Research comes out, it seems that scientists are realizing that these numbers are WAYtoo low. So low in fact that the newest studies are saying that our Vitamin D Requirements are almost 10 times the governmental recommended dosages- even higher in people with Vitamin D Absorption problems or severe deficiency. In many cases, smart doctors are now realizing that people very often need doses of up to Vitamin D 50,000 IU per DAY for short periods of time to bring Vitamin D Levels up to where they should be! Vitamin D, really a 'prohormone' and not a vitamin, has kept its classification as a vitamin due to our bodily needs for it that can be supplied through the very few Vitamin D Foods that exist. But we actually create vitamin d. Vitamin D and Sun creates your own homemade Vitamin D Therapy right in your body- and this Vitamin D Deficiency Treatment definitely regulates the activity of other cells in the body. The discovery of Nuclear Receptors really tipped the ‘nature vs. nurture’ argument in favor of the nurture side. Since the discovery of nuclear receptors and findings on how widespread they are, some scientists estimate that genetics influence the expression of disease about 20% with environment influences contributing 80%. Most cells, if not ALL cells in the body have Vitamin D Receptors - making the influence of Vitamin D widespread. VDR’s have been linked to over 10,000 genes including the genes that control inflammation - which is present in nearly ALL chronic diseases! In fact, low levels of Vitamin D may even Increase All Cause Mortality. These genes are activated MUCH more strongly by the form of Vitamin D called Vitamin D3. Unfortunately, if you get diagnosed with vitamin D deficiency by your doctor, it's likely that you will get Vitamin D Therapy with an INFERIOR form of vitamin d, called Vitamin D2, Prescription Vitamin D or Vegan Vitamin D, that activates these genes MUCH more weakly- and so doesn't provide the health benefits that vitamin d is supposed to provide! Most people are familiar with Vitamin D facts in relation to bones. We think of Vitamin D and calcium for strong bones. But if anything, calcium is overrated, and Calcium Side Effects can even be dangerous; while Vitamin D is UNDERESTIMATED for its role in bone health with calcium getting all of the fanfare. But Vitamin D is really the hormone that regulates calcium. Vitamin D activates the parathyroid glands, that actually control the Blood Calcium Level in the body, and tell them what to do. Lack of Vitamin D from not getting enough in the diet and from long periods without Vitamin D in Winter can prevent the absorption of calcium from the digestive system - no matter how much calcium you take. Therefore, Vitamin D is at LEAST as important as calcium for bones. And one study showed that up to 50% of women being treated for osteoporosis have unrecognized Vitamin D Deficiency. But the Vitamin D Facts show that calcium regulation isn't JUST for bones. Calcium regulation is just as essential for HEART function as well. Vitamin D Deficiency leads to Low Calcium Levels in the blood and these low calcium levels can affect heart functioning to such an extent that they actually cause the heart muscle itself to become weakened leading to a debilitating condition called Congestive Heart Failure. In children who are born with Vitamin D Deficiency, this weak heart can make these children so ill that they end up in the hospital waiting for a heart transplant! Most of the time, however, children are not diagnosed with Vitamin D Deficiency, but with a condition called Congenital Heart Failure and are left with little hope of ever getting well- all from the lack of a simple vitamin! That is just one of the amazing Vitamin D Facts that no one will tell you about. While doctors almost NEVER discuss Vitamin D and Breastfeeding except to say that breast milk has no vitamin d and the baby should take supplements, this is a complete MYTH!! Breastmilk is actually an EXTREMELY RICH source of Vitamin d- IF the mother isn't vitamin d deficient. Unfortunately, the RDA of 600 IU's for women is "Woefully Inadequate", according to researchers, and FAR FAR from the amount that needs to be taken to have Vitamin D Rich Breastmilk! See the Vitamin D and Breastfeeding page for more info. But, is Vitamin D Safe? Vitamin D Therapy is SAFE, in fact it is EXTREMELY safe. It has an extremely bad- undeserved- reputation for having the potential for overdose. But it is MUCH harder to Overdose on Vitamin D than most people think. 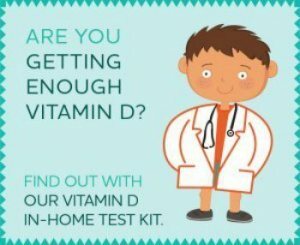 In fact, it is SO safe that, in most cases, even if a child took an ENTIRE bottle of vitamin d will not harm him in any way- and actually it's likely that he will have IMPROVED his health by taking a whole bottle of standard dosage vitamin d. Because it's fat soluble, you can divide up all your vitamin d needs for the entire year, split them up and take a large dose every 3 to 4 months. There is really not a more convenient vitamin regimen than that. are minimal and are usually very easy to remedy and the reasons that you CAN'T take vitamin D, officially called Contraindications to Taking Vitamin D, are almost non existent. It can even be given to newborn infants, the oldest elderly and people with kidney and liver failure, just don't take them in the form of Vitamin D Injections, which are completely unnecessary and painful. The Vitamin D Facts show that this amazing hormone has many functions that are as yet unidentified. One study showed, "Early life vitamin D inadequacy is implicated in the risk of bone disease, autoimmune disease, and certain cancers later in life." Also several studies have concluded that higher total Vitamin D Levels decrease death rates for any reason. They concluded that low Vitamin D levels is anindependent risk factor for early death. Yet, STILL no one is recommending higher doses of Vitamin D for the general population. be treated have to assume responsibility. when we warned about smoking." No one is really sure how or why Vitamin D is so important. What no one disputes, however, is that it is VITAL to our good health. The Right Vegan Vitamin D- Most vegan vitamin d supplements are the wrong kind of Vitamin D. Get the RIGHT kind, with the only truly vegan Vitamin D3 on the market. What exactly will vitamin D do for me?